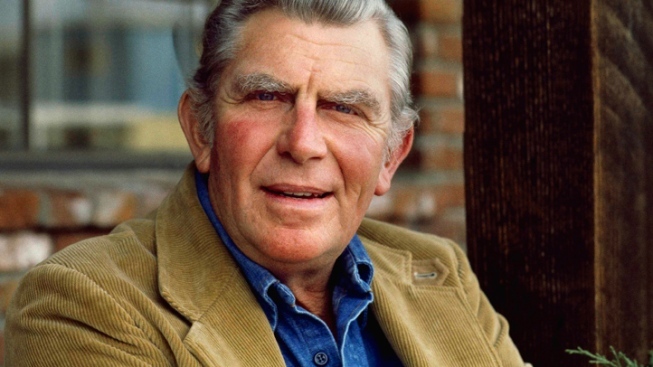 Andy Griffith proved himself a performer who reached and touched his audience with a genuine, gentle humor. 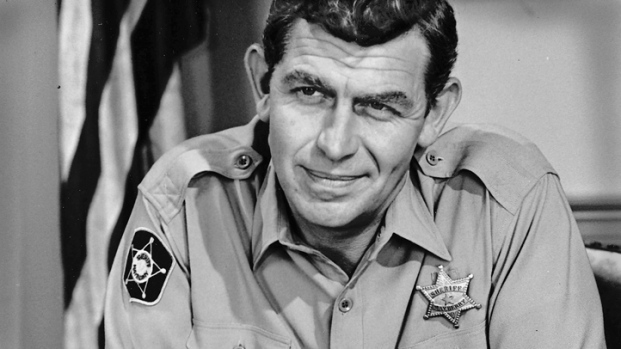 The death of Andy Griffith feels like the loss of an old friend to the millions who knew him like a trusted neighbor - and local sheriff - if only through the rosy lens of TV. That's a tribute to the enduring appeal of an actor who imbued some his most memorable characters with an easy charm and everyman quality that made Griffith a welcome, comforting presence in our living rooms over the last half-century. But the key to the success of Griffth, who died Tuesday at 86, rested in a penchant for playing characters who, despite an outward ordinariness, were far more than just a face in the crowd. In "The Andy Griffith Show," he created an American television icon in Sheriff Andy Taylor, whose beat stretched far beyond the small, homespun town that was the fictional Mayberry. Sheriff Andy sat at the center of tiny universe of lovable oddballs who relied on him for a helping hand and folksy wisdom that made him less the local cop than the all-purpose pal. Griffith might have gotten his start as a stand-up comedian, but displayed his smarts by willingly playing straightman to talented comic actors like Don Knotts and George Lindsay - all while bringing along a strong young talent like little Ronnie Howard. The characters' problems seemed at times as picayune as their surroundings - but the people of Mayberry were anything but simple and lent a deceiving depth to a show steeped in humor. It didn't matter whether or not you lived in walking distance of a fishing hole. Viewers saw - or wanted to see - themselves in Andy Taylor: an everyday character with character. A man who earned the respect of his community. A man who loved his son and gave lessons gently learned. Andy Griffith's Mayberry wasn't a place as much as a shared state of mind. We got to see early glimpses of Griffith's ability to reach audiences with far more than his surface Southern charm in the 1957 movie, "No Time for Sergeants." Griffith's seemingly bungling country yokel soldier manages to outsmart and show up the rest - getting the last laugh on his sergeant with a toilet-seat salute. We witnessed a darker side of the Griffith charm in the still-searing 1957 drama "A Face in the Crowd," in which ex-con turned media-propelled demagogue Lonesome Rhodes uses his charisma to cast a spell over the public. In his final TV show, "Matlock," Griffith's senior citizen lawyer character's easygoing manner belied that he was always several steps ahead on his way to winning the legal chess game. Matlock, like Sheriff Andy Taylor, was nobody's fool - and was never out to fool anyone. The characters live on, thanks to Andy Griffith, who proved himself a performer who reached and touched his audience with a genuine, gentle humor that made him one of Mayberry's - and entertainment's - finest.